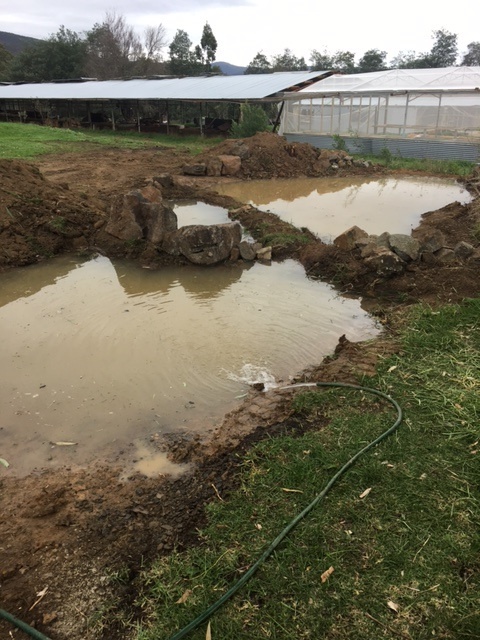 Feb 2017 update on the frog bog is that 3 of the Cire Services year 7’s will be looking after our frog bog 1 day per week, and joining in Frog Census! 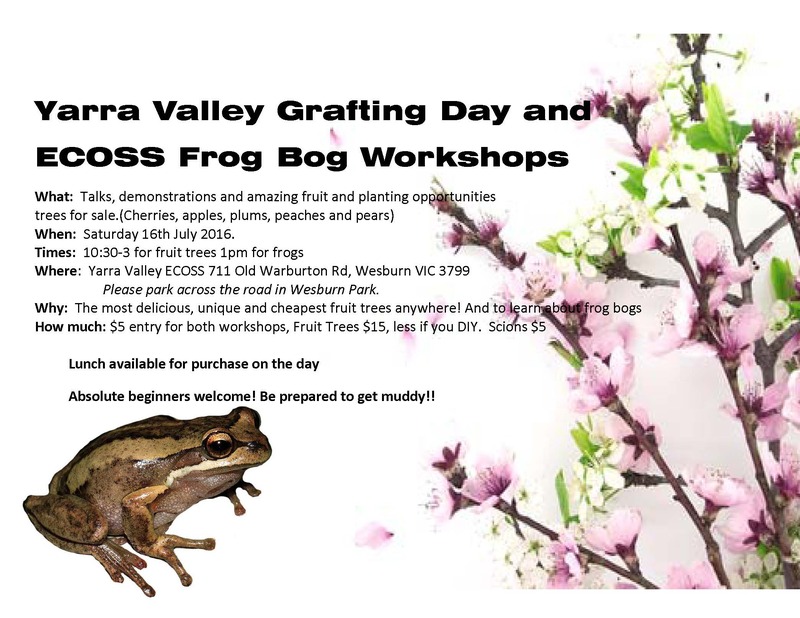 We have excavated the frog bog and held a planting day workshop. 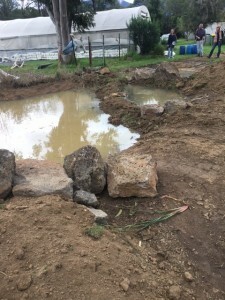 This was run by Niree Bingham our talented Landscape Architect, and later in Spring we will have Melbourne Water frog Census come to hold a presentation here. We will alert you when the date is confirmed. 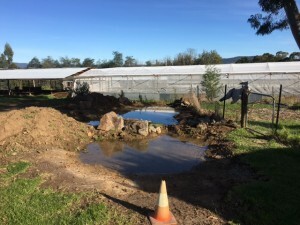 This Frog Bog will be an important part of our Education Program here at ECOSS. If you would like to book a session for your school please see the Education tab on website. We thank Upper Yarra Valley Garden group for their financial support towards this project. We will make it a beautiful educational space that will support our frogs.